Fertility differentials have been widely reported across socio-economic classes in Nigeria [9–11], but ethnicity is likely to be one of the important factors due to individual attachment to his/her ethnic domain. In Nigeria, individuals are geographically concentrated mainly according to the environment, ways of life and by their ethnic groups. In this country, a person’s primary loyalty to some extent is to his family, lineage and ethnic group; his allegiance to national identity is often weak [12, 13]. 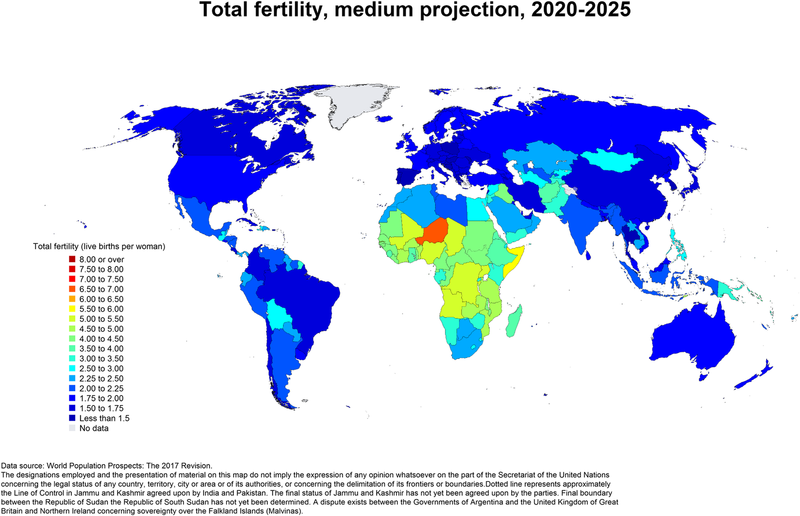 In spite of the heterogeneous nature of Nigeria, fertility data is still commonly analyzed based on national delineations like geopolitical zones, states, etc. for political reasons. However, both diffusion and ideational theories of fertility decline show that fertility behavior might be similar in ethnolinguistic groups. Therefore, there is the possibility that some ethnic groups are experiencing fertility changes that are being ignored in national estimates. In this context, it is imaginable that there might be some ethnic groups undergoing more rapid transition, whereas studies tend to be at the national level . Demographers and population experts [13, 14] have argued that reporting fertility at the national level has a tendency to wrongly position the fertility situation of some groups on demographic transition table. This study was conducted among the three major ethnic groups in Nigeria. These are; Hausa/Fulani, Igbo, and Yoruba. The socio-economic characteristics described above have been previously identified as important predictors of fertility in Nigeria [9–11], but the questions that remain unanswered are; Is the fertility level more homogeneous across ethnic groups than at national level? Is the state of fertility transition the same in the three main ethnic groups? 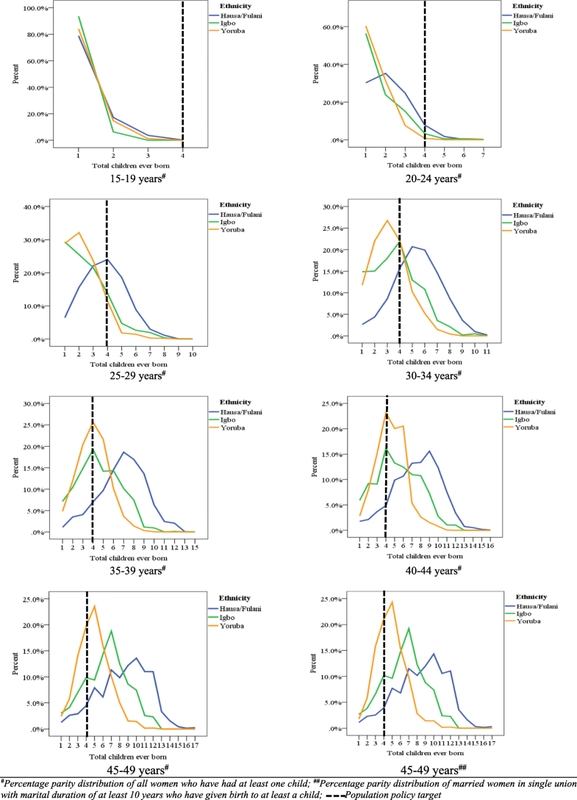 Do national data hide sub-groups for whom the fertility transition is more advanced? Therefore, the objectives of this study are to; determine the level of fertility in the three major ethnic groups in Nigeria, assess the parity progression ratio, determine an association between sociodemographic factors and fertility in each ethnic group and examine whether ethnicity is a predictor of fertility in the midst of other factors. The objectives were conceptualized in order to improve knowledge on which of the main ethnic groups in Nigeria contributes more to the national fertility level. This paper provides information and findings that are relevant to policymakers and programs in Nigeria and demonstrates non-uniformity of demographic shifts and fertility patterns in a large populous country. About half of the studied women belong to the Hausa/Fulani ethnic group, while Igbo and Yoruba women shared a quarter and slightly above one-fifth respectively. The distribution of women by ethnic group found in this study reflects true ethnic composition in Nigeria . It is striking that women of Hausa/Fulani ethnic origin have the bulk of its members not having formal education while only very few were found among Igbo and Yoruba women. This echoes the extent to which female education enrolment was in place among the ethnic groups and also indicates the consequence of early marriage and early childbearing tradition which is being practiced among Hausa/Fulani tribe which has been reported in previous studies [24, 25]. 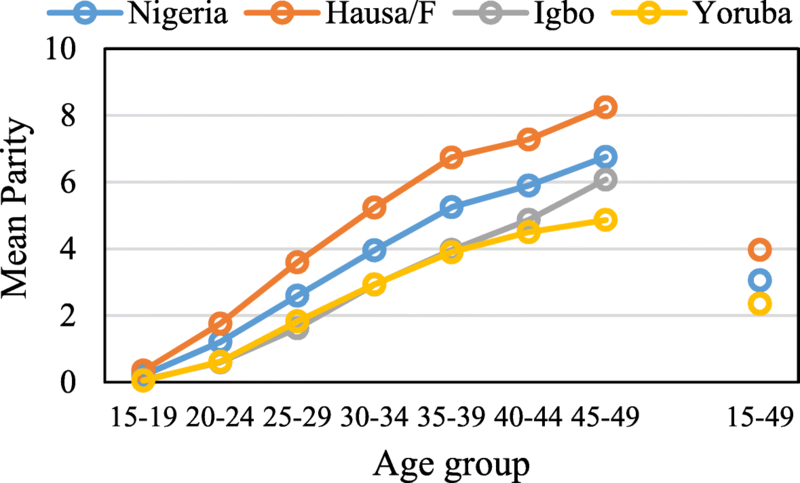 In this study, about one-half of Hausa/Fulani women had their first birth at ages below 18 years and this was the reason for the least median age at childbearing found among Hausa/Fulani (17 years) women compared to Igbo (21 years) and Yoruba (21 years). Similar studies supported these findings [24–26].